The Feb. 11 rally at the El Paso County Coliseum started moments after negotiators in Washington reached an agreement, in principle, to fund the government ahead of a Feb. 15 deadline to avoid another partial federal shutdown. In the deal, Republicans would be settling for significantly less money for the border wall—almost $1.4 billion, as opposed to the $5.7 billion Trump wanted, according to congressional aides. The funding measure is through the fiscal year, which ends Sept. 30. Trump said that he was told of the possible breakthrough as he arrived in El Paso. “As I was walking up to the stage they said that progress is being made… We are doing whatever we have to do. The wall is being built,” Trump told the crowd. 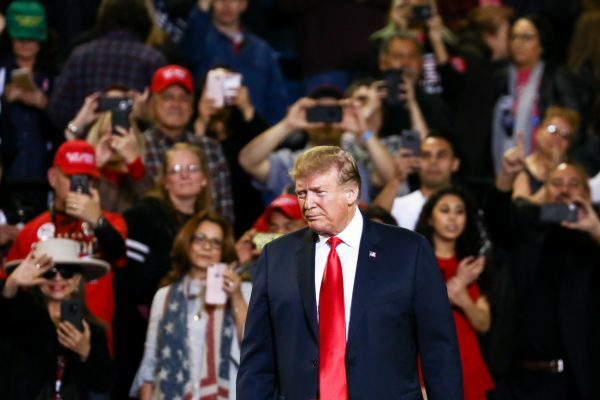 The rally was the seventh time Trump held an event in Texas and his first in El Paso since announcing his candidacy. According to Rasmussen Reports, which carries out a daily tracking poll, Trump’s approval rating hit 52 percent on Feb. 11, the highest level since shortly after his inauguration. The stadium was filled to its 8,000-plus capacity and about 69,000 people signed up online for the rally. The venue is situated less than 1,000 feet from the border wall in El Paso. Several protesters were quickly escorted out of the stadium during the first half of Trump’s speech. 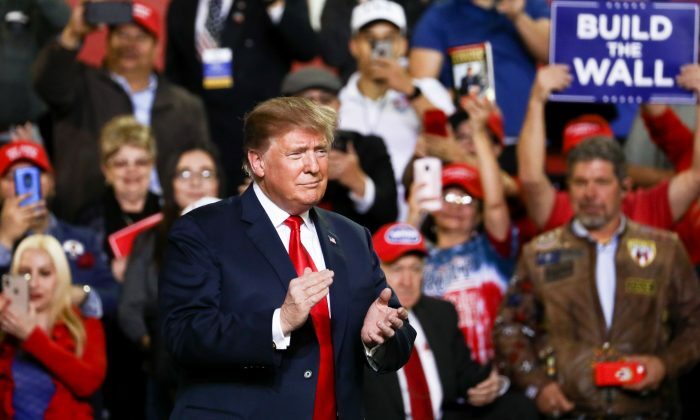 Trump said El Paso is a prime example of the success of border fencing, with the crime rate going down after the fence was erected. Ciudad Juárez, Mexico, sits right across the border and has high levels of violence. The debate over the border wall escalated as the partial government shutdown that started days before Christmas last year broke records for being the longest in U.S. history. 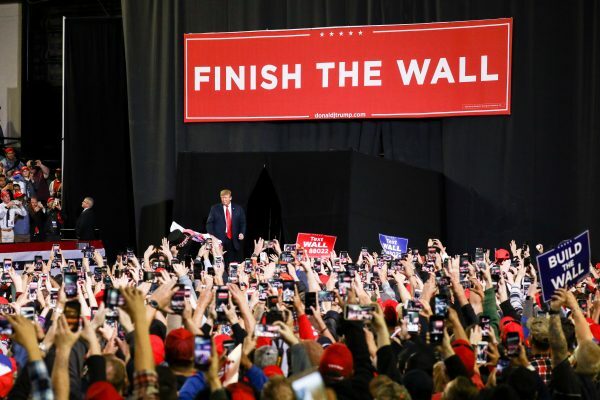 In January, Trump unveiled a new slogan: “Build a wall and crime will fall,” describing it as the new theme for the Republican Party for the next two years until the wall is completed. In fiscal year 2018, almost 400,000 aliens were apprehended by Border Patrol after crossing the Southwest border illegally. Trump’s determination to secure funding for the border wall and the refusal by Democrats led to the first partial government shutdown. Currently, around 654 miles of barrier exist along the almost-2,000 miles of U.S.–Mexico border. 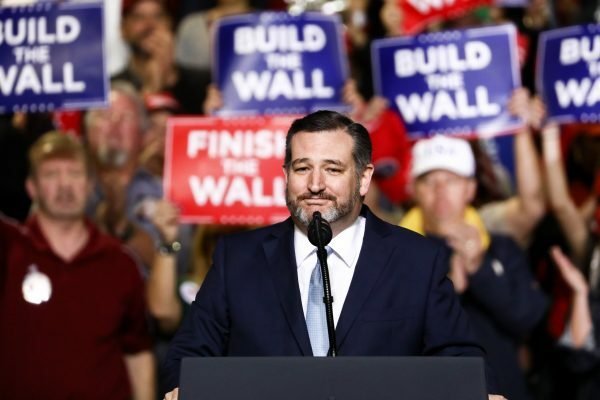 Sen. Ted Cruz (R-Texas) one of the speakers before Trump, also insisted that walls are effective. “We saw in El Paso where there was high traffic of illegal crossings, we built a wall and the crossings plummeted,” he said. Cruz also called on the Democrats to “let go” of hate and anger to reach over the aisle and make America safe. 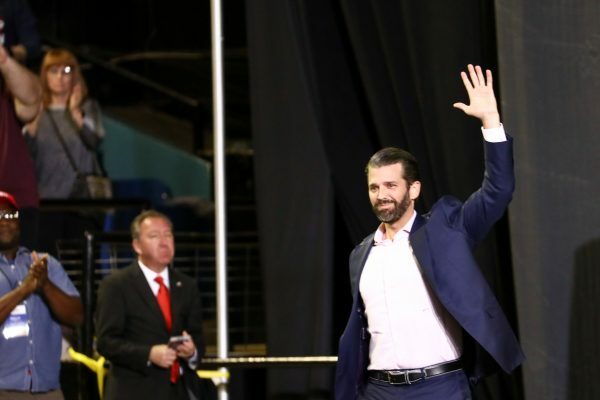 Donald Trump Jr. also spoke, saying that the Democrats are too focused on their own interests. During his speech that lasted around 90 minutes, Trump hit the usual points, including the strong economy, low unemployment, and progress with North Korea. But the case for a border wall was the focal point. The president also criticized a bill proposal by the Democrats last weekend that would place a cap on the number of illegal aliens ICE officers can detain. “I will never sign a bill that forces the mass release of violent criminals into our country,” he said. Following in the steps of his State of the Union Speech last week, Trump called for unity in Congress. He stressed that he welcomes legal immigrants who support American values, especially those who come in through merit.